Gibraltar-based Ladbrokes Coral has been slapped with a fine of nearly £2.3 million by the United Kingdom Gambling Commission for failing to adhere to problem-gambling and social-responsibility rules in the case of two customers of Ladbrokes Coral’s Gala Interactive Unit, both of whom stole large amounts of money from their employers or employers’ clients and used the stolen funds to support out-of-control gambling habits in 2014 and 2015. It’s the second such spanking for Ladbrokes Coral in the past year and a half, following Gambling Commission into the activities of another Gala Coral customer. That earlier case involved one Matthew Stevens, who was convicted of stealing £800,000 from a vulnerable adult, using the stolen funds to gamble at Gala Coral, Betfred and Paddy Power. Stevens was sentenced to three years in prison while the three gambling firms were ordered to refund the money to Stevens’ victim; Stevens served as the victim’s accountant. Monday’s announcement from the UKGC covers the same territory. this time involving two more customers who stole from others to support their own high-flying online-gambling habits on Gala Interactive. The UKGC findings identified the two only as “Customer A” and “Customer B,” who combined to lose nearly £1.3 million on the Gala Interactive site. Customer A lost £837,545 over 14 months and Customer B lost £432,765 over 11 months, according to a Gambling Commission statement, which also noted that both lost the money playing Gala’s online games. Gala Interactive was also fined an extra £1 million, largely for its failure to follow the social-responsibility guidelines brought into force by the UKGC back in 2015. The UKGC appears to have pipped Gala Interactive the extra million for basically lying to the UKGC for promises made to strengthen problem-gambling protections, meaning the changes to the UK’s consumer-protection codes made in 2015. 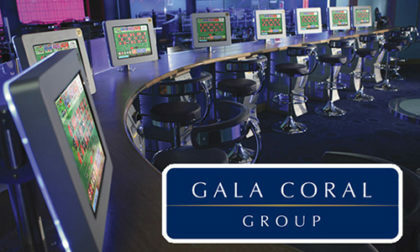 Gala Coral, which was soon to merge with Ladbrokes to become Ladbrokes Coral, made those promises to the UKGC during the exact period when both “Customer A” and “Customer B” were allowed to deposit large amounts online at Gala Interactive, without any checking by Gala Interactive into the sources of the funds. A Gambling Commission investigation revealed that Gala failed to effectively interact with the two customers who were displaying problem gambling behaviour. The operator also failed to have in place written policies and procedures that could have curbed the problem gambling behaviour. An aggravating factor was that during a previous case regarding similar failings, Gala told the Commission that customers of concern would be identified sooner and effectively handled. This assurance was made during the same time that Customer A and Customer B were gambling with Gala. Though not identified by name in the Gambling Commission reports, Customer A was almost certainly Dublin, Ireland-based insurance agent Martin Reilly, who bilked 18 separate Canada Life clients out of more than €832,000, which he then used to fund his Gala Interactive account. A brief search was unable to definitively identify the report’s Customer B.
Sarah Harrison, Chief Executive at the UKGC, stated, “We will continue to take robust action where we see operator failures that harm consumers and the wider public. Over at Gala Interactive’s parent company, Ladbrokes Coral, chief executive Jim Mullen said, “Running a gambling company carries a huge responsibility to ensure that it is done so in a safe and responsible manner. When any part of our business fails to meet the required standards, it is right that they are held to account. The sector has an obligation to look to help customers help themselves and to seek to protect the vulnerable where self-help is evidently not going to happen. “In the two cases reviewed with the Commission, it was clear that within our operations, we had not met our own standards or those demanded by the Commission. While we will always be exposed to risk of people failing to follow procedures, we accept that, in this case, the failings were evidence of a lack of priority being given to changes in approach identified in earlier engagements. “Being public with our failings is an uncomfortable experience for any business, but we believe it is right that others can see the extent of our mistakes and try to learn from them. The Ladbrokes Coral business has moved on since these cases occurred and the mind-set of the Board and the management is that there can be no short cuts on delivering our social responsibility and anti-money laundering obligations. “We talk genuinely of putting responsible gambling at the heart of our business, and cases like this rightly demonstrate that words alone do not guarantee success. With a business of this size and scale we will always be at risk of inadvertently failing to follow the right procedures. That is why we must continue to invest in the technology, people and research and education to help achieve the highest standards of social responsibility. Gala Interactive also agreed to voluntarily contribute an additional €200,000 to help fund UKGC-led research into the “causes and identification of problem gambling”, which should be of benefit to the industry as a whole.